Switching from normal cigarettes to e-cigarettes has substantial health benefits and should be encouraged, expert witnesses have told a House of Commons Science and Technology Select Committee hearing. 'Scientific evidence shows that there are benefits of exclusive use of e-cigarettes after using conventional cigarettes - particularly in areas such as respiratory diseases and cardiovascular diseases,' Riccardo Polosa, professor of internal medicine at the University of Catania, in Italy, told MPs. Peter Hajek, professor of clinical psychology at Queen Mary University in London, told the committee that, overall, studies have shown that the cancer risk of e-cigarettes is less than half the cancer risk of normal smoking. 'Nicotine is not a carcinogenic substance and there is no evidence that nicotine has a carcinogenic effect,' added Polosa. 'Combustion releases more [harmful] chemicals, e-cigarettes do not have combustion, so one has to assume that they are much safer than normal cigarettes,' agreed Lion Shahab, senior lecturer in health psychology at University College London. In response to MPs' questions about the impact of e-cigarette use on non-smokers, Paul Aveyard, coordinating editor at the Cochrane Tobacco Addiction Group, explained that e-cigarettes are rarely a stepping stone from not smoking to smoking. 'The traffic is massively one way and rarely the other,' he said. Consistent with the experts' testimonies, Public Health England (PHE) said in 2015 that 'best estimates show e-cigarettes are 95% less harmful to your health than e-cigarettes'. 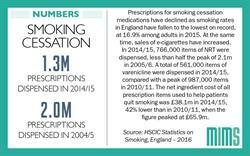 PHE recommends that smokers who have tried other methods of quitting without success be encouraged to try e-cigarettes as an alternative method of quitting. 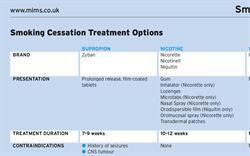 In a session on cancer care in general practice at the RCGP annual conference in October 2017, Wandsworth GP Dr Alex Bobak, one of the first GPs to become a GPSI in smoking cessation, called e-cigarettes a 'phenomenal quitting aid'. 'We do not know the long-term risks - although they are likely to be minimal,' he said. 'But we do know short-term risks – which are minimal, and similar to NRT. Smokers want choice, and many want to use it - for goodness' sake let them'.